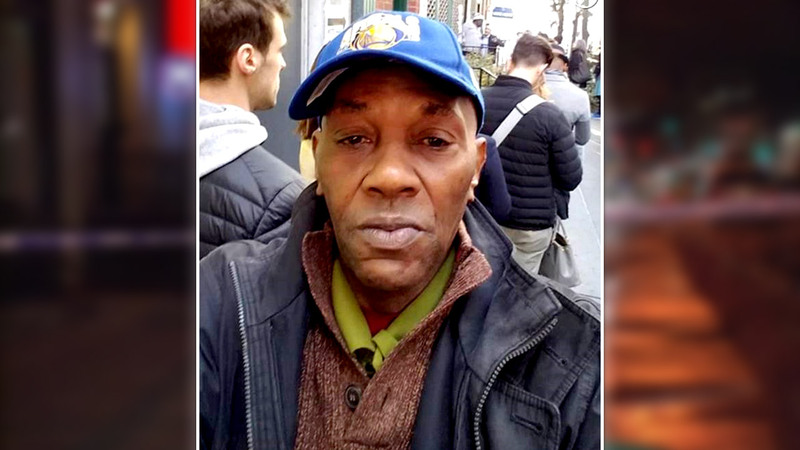 MIDTOWN, Manhattan (WABC) -- Prosecutors said the targeted murder of a black man by a self-proclaimed white supremacist in New York City was most likely an act of terrorism. James Harris Jackson, 28, of Baltimore, Maryland, appeared in a Manhattan courtroom for his arraignment Thursday. He was formally charged with second-degree murder, but Prosecutor Joan Iluzzi-Orbon said the charges are expected to be upgraded once the case goes before a grand jury. "The defendant was motivated purely by hatred," Iluzzi-Orbon said. "Additional charges could include murder in the first degree, as this was most likely an act of terrorism." During the hearing, Jackson looked about the room with a curious expression on his face but said nothing. He was escorted by three of the 18 police and court officers who were there for the arraignment. Outside the courtroom, defense attorney Sam Talkin said that if the allegations are true he will consider an insanity defense for his client. 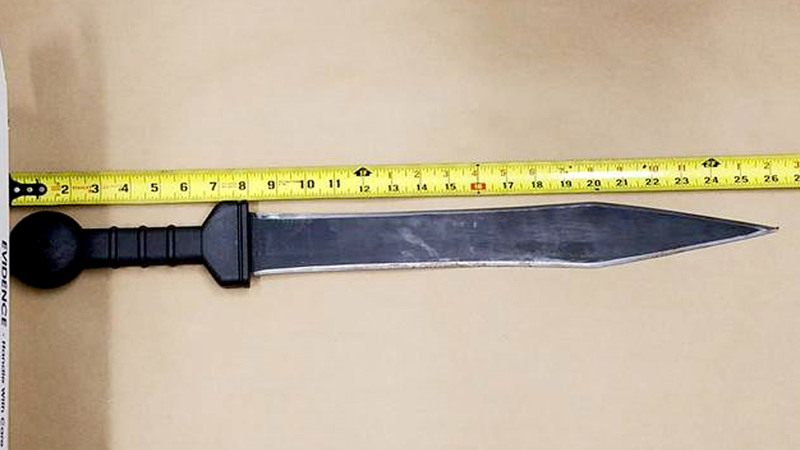 Jackson is accused of stabbing 66-year-old Timothy Caughman, an African American, near Ninth Avenue and West 36th Street in Midtown Manhattan Monday night. Caughman was able to make his way to a nearby police precinct before collapsing and later dying at the hospital. Jackson turned himself in to NYPD officers at the Times Square substation 24 hours later after seeing his photo in media reports. Police said Jackson traveled to New York City with the intent of attacking and killing black men, and told them he was a member of a white supremacist group. According to the New York City Police Department, he detailed his racist views in a manifesto on his laptop computer, "explaining his desire and plans." Police said they are trying to understand Jackson's motives. He brought his laptop to New York, and police are waiting for a search warrant to examine it. The New York Times is reporting that Jackson told detectives he wanted to deliver it to the newspaper. Detectives believe Jackson has a hatred of black people -- specifically black men. He told police he was a member of a white supremacist group, adding that he is angered by black men mixing with white women. Authorities said when Jackson walked into the NYPD substation Tuesday, he announced he was wanted in the stabbing. "You need to arrest me," he allegedly said. "I've got the knife in my coat." Jackson allegedly told police that just before he surrendered he had seen an interracial couple, thought about the two knives he had on him, but ultimately decided to instead turn himself in. He also told detectives he chose to come to New York City because it's the media capital of the world and he wanted to make a statement. Police said Jackson traveled via a Bolt Bus from the Baltimore area to New York City Friday. He was staying at The Hotel @ Times Square on West 46th Street and proceeded to wander the city. Surveillance video obtained by detectives shows him walking closely behind several black men, almost as if he was stalking them, investigators said. At about 11:30 p.m. Monday, when Jackson was wandering near Ninth Avenue and West 36th Street, police said he encountered Timothy Caughman, an African American man, and attacked him. Caughman was stabbed in the chest and back. The victim then walked more than a block to the Midtown South Precinct, where he collapsed at the front desk. He was rushed to Bellevue Hospital, where he was pronounced dead. Watch unedited video showing the Midtown stabbing suspect being walked to a police cruiser at an NYPD precinct. The NYPD has been told the suspect served in the Army for four years, deployed to Afghanistan and Germany, and was honorably discharged in 2012. He attended college at Ohio Wesleyan University.